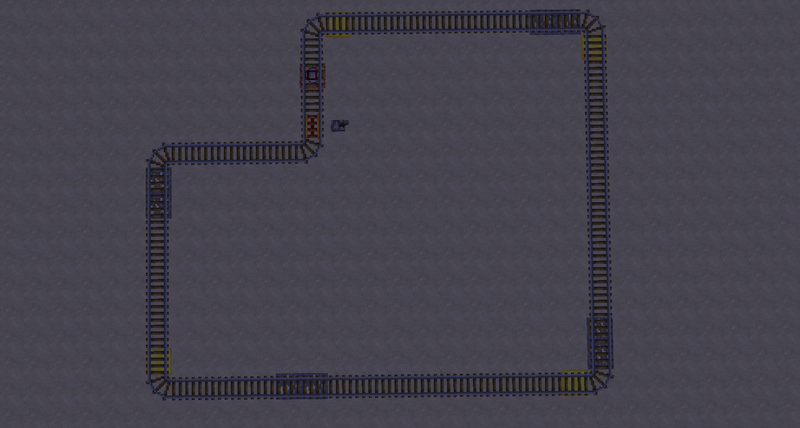 After about 5 hours of command block copy-pasta, I've created a stable, reliable form of rail acceleration. - gold block marks acceleration over the next straight section, up until the two gold ore blocks. - it only works for straight sections. New marker blocks need to be re-applied after corners. - it is tag based, meaning that only minecarts on STA will be affected. - it is completely player-independent, meaning that all tags are info are stored on minecarts. - acceleration can potentially support slopes and diagonals, but it requires more copy pasting. - confirmed to be multiplayer-compatible as I tested the track with multiple creepers. - since the command ties to minecarts, the rider, be it a mob or a player, doesn't matter. - if an accident happens, the player can simply hop out and re-place the cart to refresh the tags. - the only possible accidents are derailing at junctions and getting stuck in the wrong direction. - simply don't let carts speed through junctions, only place markers at straight sections. - directions should not be a problem since Andy's STA mod removes friction. - it accelerates to 20 blocks/second, however can be modified to support 40, 60 or 80. - the carts never derail if marked properly. - it uses a coordinate system to create the illusion of fast movement, so the speed of carts are unchanged. 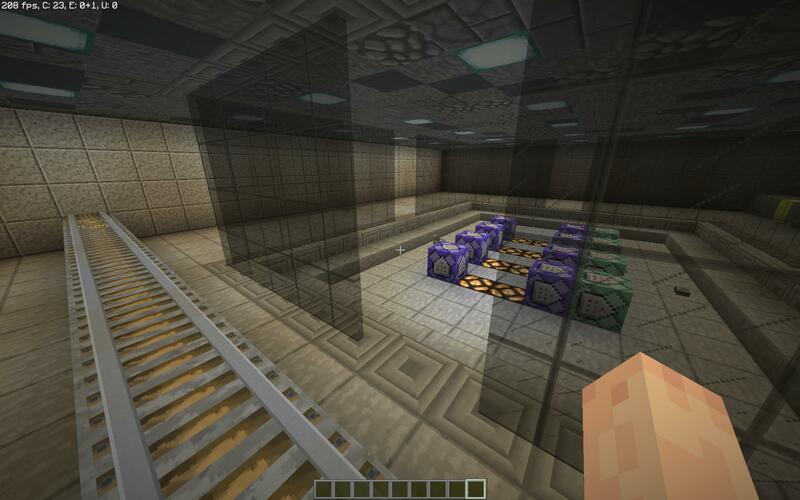 - tags can be erased by a single command block on detector rail at the stations. This is mostly a fail-safe, but any special carts with STA-routing tags will also be wiped. 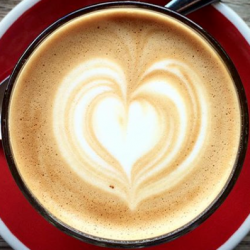 Use with caution. 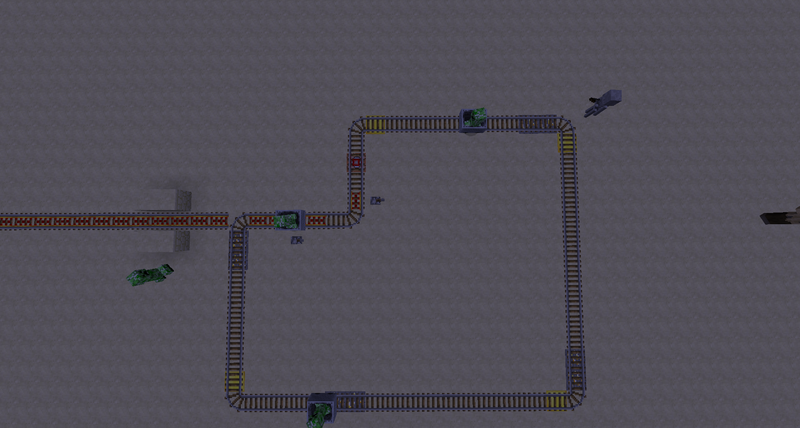 - it currently only accelerates carts on regular tracks, but with copy-paste can support any type of rail. Gold blocks indicate acceleration towards gold ores. The creepers have been going on their accelerated loopy journey throughout the duration of me writing this post. Note about lag: shouldn't be an issue as long as the command block output is set to X. 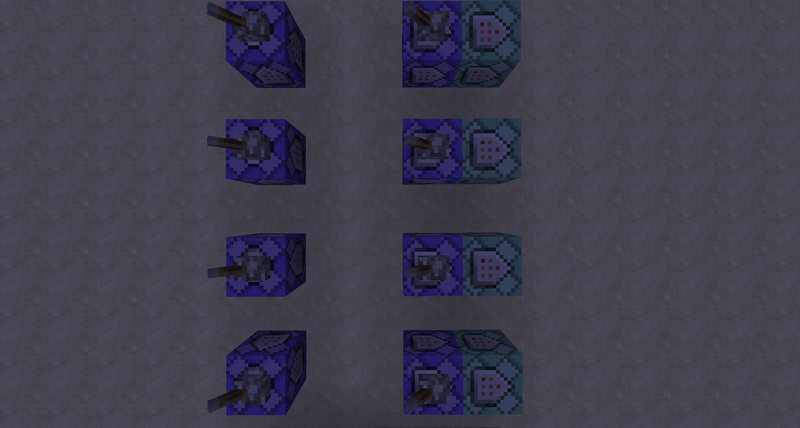 8 repeating command blocks is miniscule. is it just one set of command blocks for the entire world & if their chunk gets unloaded, then will they stop working? Supposedly it works regardless of distance, even if the player is in the nether. If you don't, scoreboards ain't working. If you do then it's the fault of the teleporter. Thank you, I'll have a look when I'm free! Sooooo 1.13 killed this, and I've been taking a look. Tried to rewrite the westHyper commands, however that is affecting every direction and treating it as if it was a westhyper cart. ie you go eastbound towards a diamond block under you, and it flings you back to the west. If anybody can have a play around and get fast rails working again, that would be pretty cool. just sayin'.